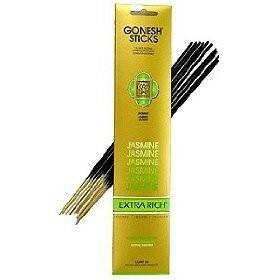 This Gonesh stick incense has the fragrance of jasmine flowers, tiny delicate blossoms with rich, intoxicating fragrance. A best selling, beloved fragrance! 20 sticks per package.